"The seasons can leave your pride and joy looking bedraggled. My Chester-based window, driveway and gutter cleaning will bring your home back to its best. See the difference for yourself." 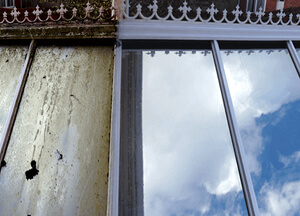 A service that brings your property back to its original clean state and not just the windows. One-off or regular window cleaning? Our conservatory cleaning service includes a window, roof panels and gutter cleaning. A full external cleaning service. 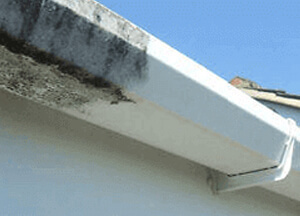 Gutter cleaning inside & out. Our fantastic gutter cleaning service also includes a clean of your externals features including fascia boards and windows too. Get more clean for your money. 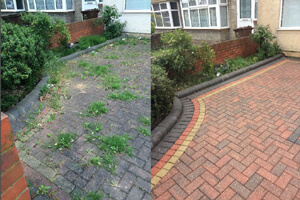 A driveway cleaning service with power-washing, weed treatment, resanding (if necessary) and applying of a seal to protect your newly cleaned garden feature. Affordable and effective at improving your home. "Thanks for such a fantastic job. Couldn't believe how good my house looks." 1. After an assessment of your property, I will begin cleaning from the top down. 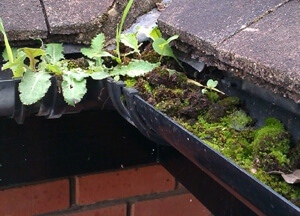 This service involves scrapping out your gutters and downpipes of any obstructions. 2. Using my high-reach cleaning system, I will clean the guttering and downpipes, also reaching fascia boards, cladding and any dirty paintwork you may have. 3. A clean of your windows, frames, sills will finish off the clean. "I was amazed at how much better my home looked after the clean. Thanks for your hard work."